How adorable is this little guy? He is the youngest of three boys and was the sweetest ever to photograph. He was a little wary of the camera at first, but quickly warmed up. He reminded me of a little man with his hands in his pockets sneaking side ways glances at his mom while we were photographing him. 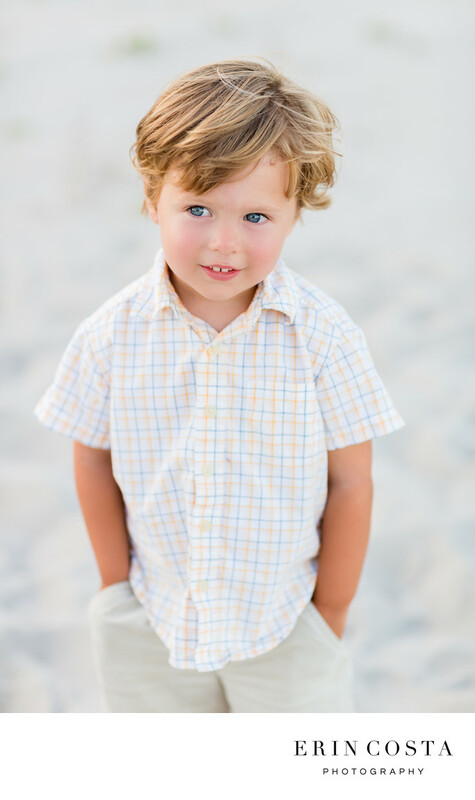 He was visiting Topsail Beach on vacation with his extended family and we had the opportunity to photograph him and all of the other grandchildren alone during their portrait session.